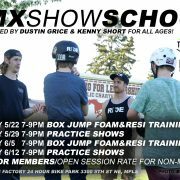 Here is your chance to kickstart your future BMX Show Career hosted by professional BMX riders Dustin Grice & Kenny Short who have performed for nearly 20 years in thousands of shows worldwide, including Monday Night FootballHalftime and Ringling Brothers Circus Xtreme. 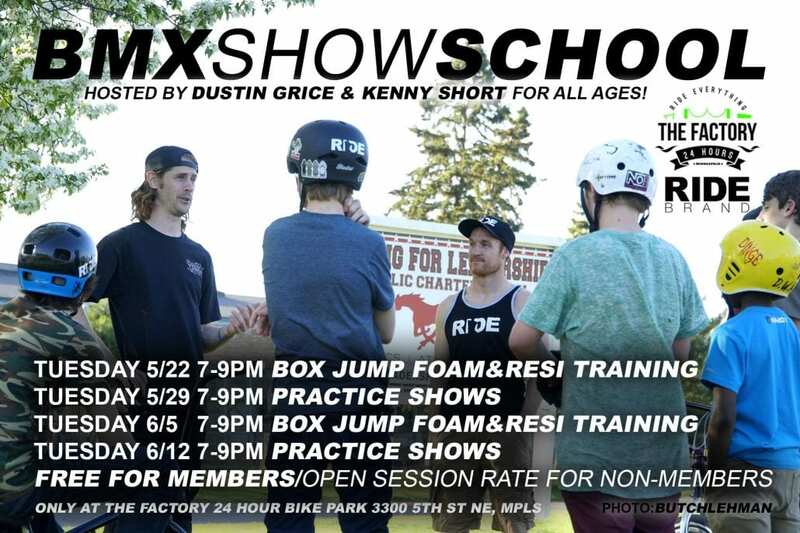 No need to RSVP, just show up at The Factory ready to RIDE! $10,000 Jump into Frozen Lake FOAM PIT IN THE BAR!